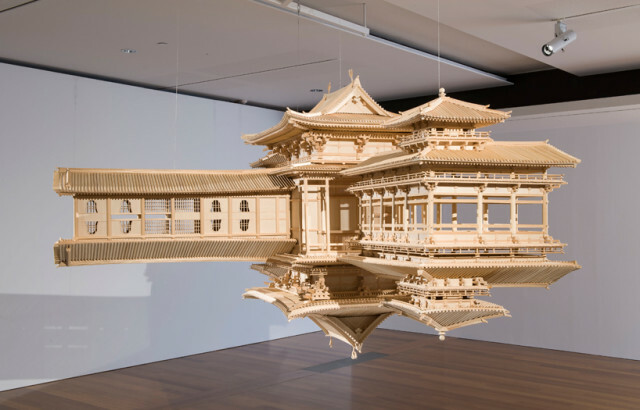 “Reflection model (perfect bliss)” by Japanese artist Takahiro Iwasaki is an incredibly intricate scale model of the Byodo-in, a 10th century Buddhist temple near Kyoto, Japan. 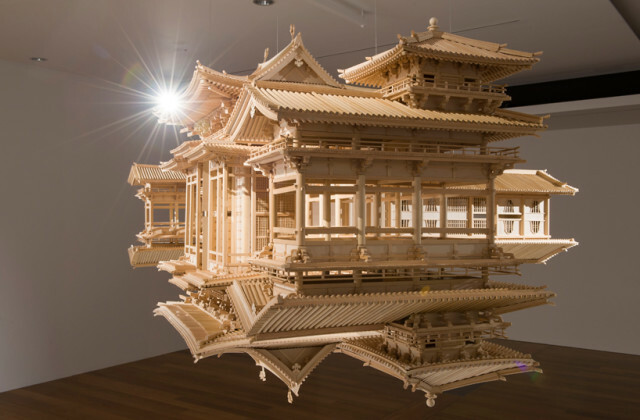 The wooden sculpture is a faithful replica with one exception—it has been doubled, with an inverted version of the temple attached seamlessly underneath. 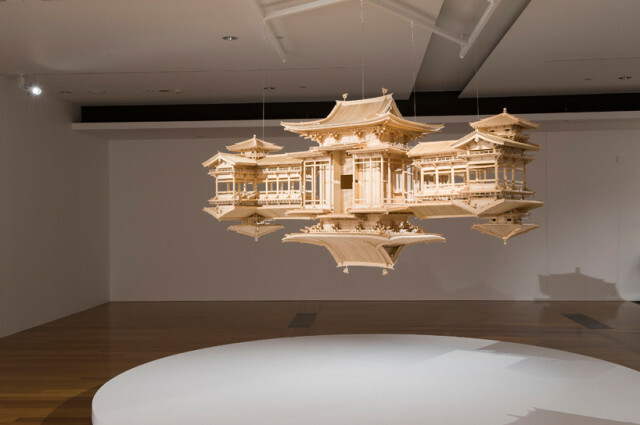 The entire sculpture is then suspended with wires for an almost spaceship-like effect.